Welcome to the site of the Zwanenbroedershuis, the domicile of the Illustre Lieve Vrouwe Broederschap, founded in 1318 and since then located in ‘s-Hertogenbosch. This beautiful house that the Confraternity had built was taken into use in 1847 by her. 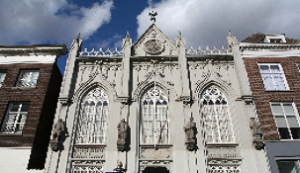 But since 1483 this is the place in ‘s-Hertogenbosch where she is housed! The museum is open. Look here for the availability. 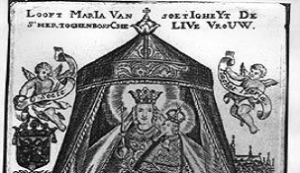 In 1318 the official foundation of the Confraternity took place in ‘s Hertogenbosch in the veneration of Mary. The original act of foundation still exists and is stored in the archives of the Fraternity. The members of the Confraternity gathered in their own chapel in the St Jan Church; here they, among other Catholic services, celebrated the vespers. 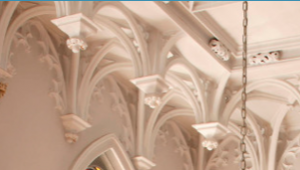 They have built a new chapel twice, the latter is the current Chapel of the Holy Sacraments next to the choir. Besides the veneration of Mary the Confraternity took care of the poor. Moreover, starting from the 14th century the Confraternity contributed greatly to the development of ‘s Hertogenbosch as the center of late medieval music. In the 15th century the number of members expanded significantly covering Belgium and Germany. However in the 16th century the number of members decreased drastically while the element of devotion lost its meaning partially. Gatherings for meals and music at the Zwanenbroedershuis became increasingly important. 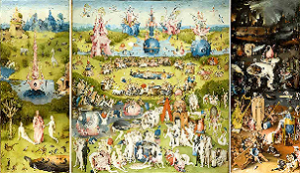 A number of famous persons were member of the Confraternity, such as William Prince of Orange (1533-1584), the first Dutch Stadtholder and the painter Jheronimus Bosch. 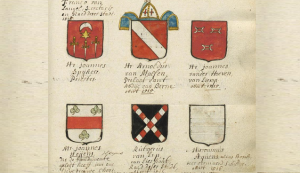 Furthermore important Dutch families such as Van Nassau, Van Egmond, Van Wassenaer, Van Brederode, Bronkhorst en Van Bylandt were represented in this Confraternity. During the Eighty Years’ War or Dutch War of Independence (1568–1648) the Confraternity experienced hard times. But even after the conquest of Den Bosch in 1629 by Fredrik Hendrik it continued to exist. In 1641 the governor of ‘s Hertogenbosch and some of his friends requested admittance. Their request was honoured. New statutes were written and established, which amongst others determined that the Confraternity from then on shall comprise of 18 Roman Catholic and 18 Protestant Brothers. Until this very moment this is still valid. Next to these 36 Brothers the Confraternity appoints a number of candidate members.